modmove | Win a double pass to see The Mule! Win a double pass to see The Mule! 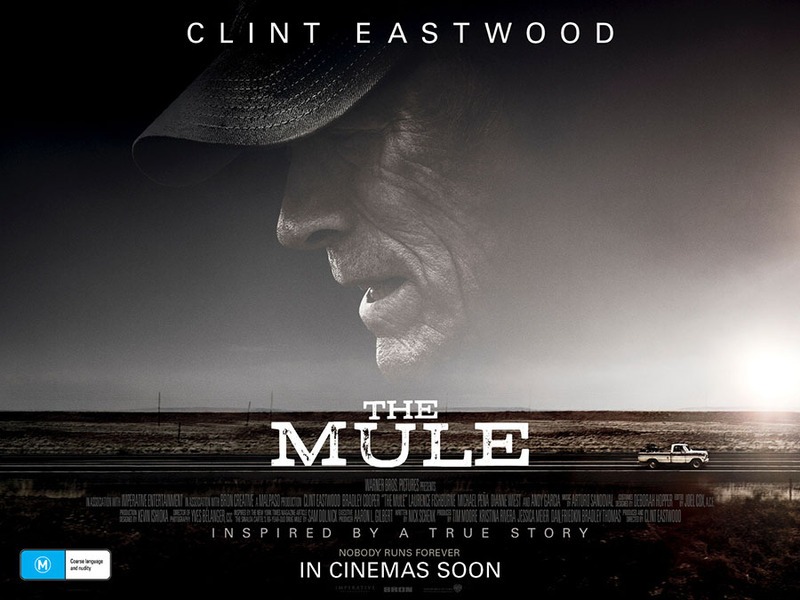 Thanks to Roadshow we have ten in season passes to giveaway to The Mule starring Clint Eastwood. Eastwood stars as Earl Stone, a man in his 80s who is broke, alone, and facing foreclosure of his business when he is offered a job that simply requires him to drive. Easy enough, but, unbeknownst to Earl, he’s just signed on as a drug courier for the cartel. He does well—so well, in fact, that his cargo increases exponentially, and Earl is assigned a handler. But he isn’t the only one keeping tabs on Earl; the mysterious new drug mule has also hit the radar of hard-charging DEA agent Colin Bates. And even as his money problems become a thing of the past, Earl’s past mistakes start to weigh heavily on him, and it’s uncertain if he’ll have time to right those wrongs before law enforcement, or the cartel’s enforcers, catch up to him. THE MULE, in cinemas January 24. Competition will be drawn 24 January 2019, winners will be notified by mail.